When Pallavi Aiyar first arrives in Beijing, she is a baffled plus-one, trailing reluctantly behind her future husband. After serving time as an English teacher to an eager but snooty class of yuppie students, she falls into journalism, writing for The Hindu. Just as her tales of Beijing street life exhaust the possibilities of quirky neighbours and intercultural misunderstandings, she is suddenly propelled into a new narrative, speeding off with business delegations, reporting on politicians and pushing herself further afield in search of new stories in Smoke and Mirrors: An Experience of China. Writing primarily for an Indian readership, Aiyar’s touchstones for Chinese history are a refreshing world away from most other China hands’. She visits the Shaolin Temple and the White Horse Temple, centres of early Buddhism back in the Silk Road days when the Chinese still regarded it as a foreign, Indian import. She lampoons the culture clash of Chinese banquets, where hosts honouring their guests with sea slugs and chicken feet are baffled by the dietary requirements of teetotal vegetarians. She approaches “unique” issues with even-handed objectivity, pointing out that there are provinces in India with far worse boy-girl birth ratios, even without a one-child policy. And she offers the Indian version of everybody’s Beijing traffic horror stories, pointing out that, to visitors from Delhi, Chinese roads are impressively calm and peaceful. Books about Beijing are ten-a-penny and often sadly samey, but Aiyar is unafraid to go that extra mile. Many, myself included, have reported on the presence of a Bad English Hotline before the Olympics, designed to hunt down the worst mistakes on signage. But Aiyar is the writer who actually calls up to report an error, only to discover that the woman on the other end of the phone doesn’t speak English. Every decade produces at least one kick-arse account that has an angle valuable enough to work as historical reportage, and Smoke and Mirrors deserves to be shelved alongside Michael Meyer’s Last Days of Old Beijing, for offering important anecdotal details of the first half of the first decade of the 21st century, from SARS to the preparations for the Olympics. This is an immensely valuable perspective, dragging the reader off from traditional journalistic angles, which, as Aiyar herself points out, are usually white, western ones. She has since turned the tables in similar fashion on Europe itself, which she approaches with occidentalist glee in New Old World, and brought insightful comparisons in her account of the smogs of Beijing and Delhi in Choked. Since she is now based in Tokyo, Japan is sure to follow. 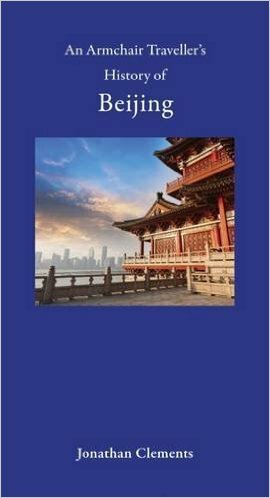 Jonathan Clements is the author of The Armchair Traveller’s History of Beijing. 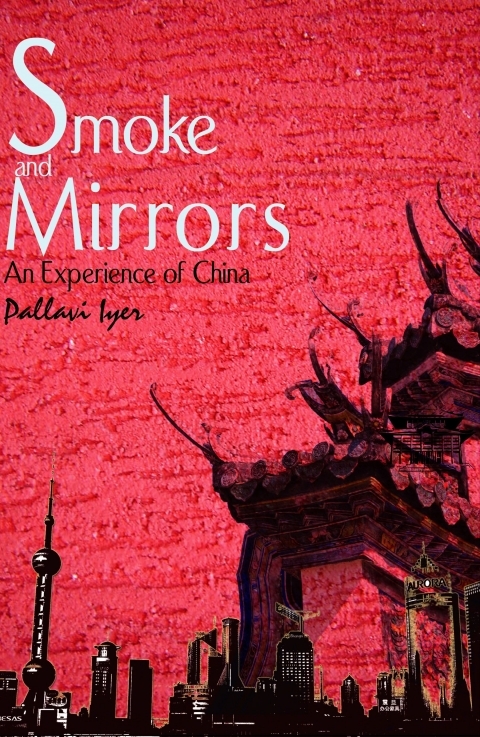 Smoke & Mirrors: An Experience of China is published by Fourth Estate. See Clements and Aiyar in conversation at Mumbai’s 2016 Times Litfest here. Comments are in for my new Armchair Traveller’s History of Beijing, from some impressively heavy hitters. Available now from Amazon UK/US.